The Sunny has been one of Nissan‘s popular products in India. It has been praised for its interior space. However, its looks have earned few fans. Of late, the sedan has begun feeling too long in the tooth. After all, today you can choose between the Ciaz from Maruti Suzuki and the new City from Honda. Soon, these cars will joined by an all-new Verna from Hyundai. However, we think the new Sunny is coming to India in 2018. Here’s all you need to know about the new 2018 Nissan Sunny price in India, launch date and other related details. New 2018 Nissan Sunny (Almera) Rendering. The all-new Nissan Sunny, which is expected to come out in 2018, will be based on the CMF platform that Nissan jointly developed with Renault. The CMF platform has been localised to decent levels and will help price the car competitively. The new Micra will also be based on this very platform. However, an elongated version of this platform will underpin the 2018 Nissan Sunny. Much of the car’s looks will likely be similar to the hatchback’s. With that said, let’s get to talking about the new 2018 Nissan Sunny price in India, launch date, specifications and other details. There is no clarity on when exactly the new 2018 Nissan Sunny will launch India. However, we think it will likely show up at the Auto Expo 2018, where Nissan will gauge the reaction to the car. Nissan India might decide to launch the new car in our country around June 2018. The new 2018 Nissan Sunny will be based on the CMF platform. Hence, it will allow Nissan to price the car competitively. The Nissan Sunny currently on sale in India costs between Rs 6.89 lakh – 8.93 lakh. However, with the launch of the new car, expect it to cost more. Our estimate says it will cost between Rs 7.30 lakh – 10.20 lakh. After all the car will sport all new design, engine(s) and features, which will help Nissan in justifying the higher cost of the car. In terms of engines, the new 2018 Nissan Sunny is expected to get one petrol and one diesel engine. The petrol engine will likely be a 1.5-litre four-cylinder unit. Its likely peak power output will be 105BHP with peak torque output of 142Nm. While the petrol will likely sport a 6-speed manual gearbox or a CVT transmission. The diesel engine will likely be a 1.5-litre turbocharged unit. Its expected peak power-peak torque outputs will be 84BHP-200Nm. It will likely be paired with a 5-speed manual gearbox. In the case of the diesel engine, an AMT transmission may be paired with it on the new 2018 Nissan Sunny. The new Nissan Sunny petrol will likely have a mileage of 16 KMPL when equipped with a manual gearbox. This figure will likely go up to 17 KMPL when the car is optioned with a CVT gearbox. The all-new Nissan Sunny, with an oil-burner, will deliver more mileage than its petrol counterpart. Our estimate for the mileage of the diesel engine-equipped new 20187 Nissan Sunny is 21 KMPL. However, since these are just estimates, do take them with a pinch of salt. The dimensions mentioned above pertain to the Nissan Sunny currently on sale in India. Expect the new 2018 Nissan Sunny to be bigger, wider and offer more room than the car currently on sale. Don’t expect it to be a Maruti Ciaz beater in this department though. The Ciaz is the longest, widest car in this segment that also offers the most amount of legroom. The 2018 Nissan Sunny will likely come close to offering as much space. The Sunny’s USP, until the Ciaz arrived, was how much interior space it offered. Nissan may try to replicate the same with the new car. However, this decision will depend on how Nissan wishes to place this car in the Upper C sedan segment. Expect the all-new Nissan Sunny to come equipped with a raft of new features. These will not only make the car look fresh and new but will add some much-needed edge the current car lacks. The Nissan Sunny lags behind its rivals in this area as it does not have much to offer in terms of new-age features. The current-gen Sunny does not offer a touchscreen infotainment unit, projector headlamps with LED DRLs, electrically-folding ORVMs or a reverse parking camera. With the new 2018 Sunny, Nissan will likely address all these shortcomings of the car to make it competitive in this segment. 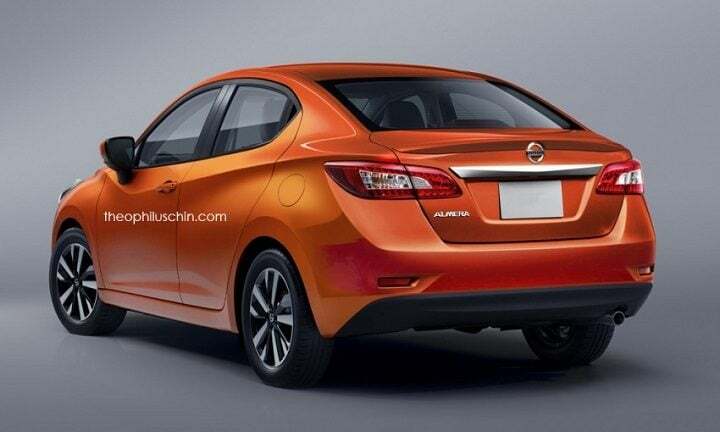 Based on the render, the new Nissan Sunny looks quite sharp and modern. While you do get to see the next-gen Micra’s design here, it’s not a bad thing. After all, the next-gen Nissan Micra looks great. The new Nissan Sunny’s sharp front end is characterised by styling elements such as the headlamps that have a pull-back effect, a large polygonal grille with Nissan’s V-motion grille, trapezoidal fog lamps and the front bumper that looks like it has splitters down low to aid the aerodynamics. The big design highlight of the new car are the character lines that start from the hood of the car, go through the car’s side and end in the rear bumper. This character line runs under the ORVMs on either side and merges in to the front door handle on its way to the rear. You also get to see the blacked-out B pillar while the A and C pillars have been finished in the same colour as the rest of the body. The new alloy wheels round up the changes made to the car’s styling elements. The rear of the car features wrap-around LED taillamps. These are partially outlined by the same character line that is coming around the side of the car. There is a bootlid spoiler that you can see this car sports. The Nissan logo sits partially on this spoiler. Below it on the bootlid is the housing for number plate. The rear bumper has a reflector on either side. All in all, the rear end is quite neatly done and gels well with the rest of the car’s design. Since the new 2018 Nissan Sunny will be based on the Nissan Micra, expect their interior layouts to be similar, if not identical. The benefit of this is that new Nissan Sunny’s interior feels refreshing and modern. It makes use of a dual-tone colour scheme. The A/c vents on either side are circular and those on the centre are trapezoidal in shape. The centre console is dominated by a big touchscreen infotainment unit that also has buttons and one knob on either side. Below it sit the HVAC controls with their separate display. The flat bottom steering wheel sports new button layout. The dual tone colour treatment extends to the seats but not to the door trims, which have black colour only. In essence, the interior of the new 2018 Nissan Sunny is as refreshing as the outside. 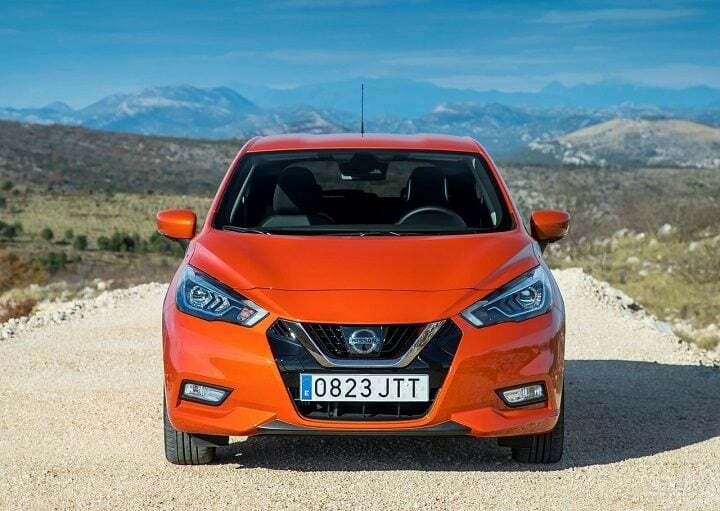 As a result, the new Nissan Sunny stands to gain quite a bit of ground with its user base as it no longer looks plain and boring, like the car on sale today. If this interior design makes it to the final car, expect the Sunny to find a lot more takers than it has currently. We will keep this post updated with the latest on the all-new 2018 Nissan Sunny price in India, launch date and other details. Stay tuned to Car Blog India for more.